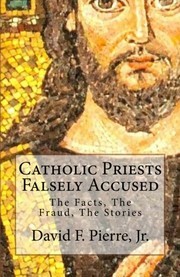 1 edition of Catholic Priests Falsely Accused found in the catalog. Add another edition? 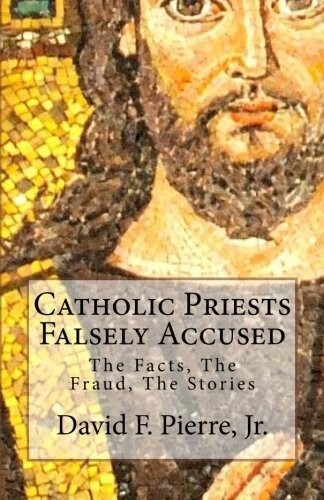 Are you sure you want to remove Catholic Priests Falsely Accused from your list? by David F. Pierre Jr. Published November 3, 2011 by CreateSpace Independent Publishing Platform . We must continue to demand justice and compassion for victims of Catholic clergy abuse. This is not optional. However, there is a side of the Catholic Church abuse narrative that is not getting the attention it warrants. Countless priests in the United States have been falsely accused of committing horrendous child abuse. This is the side of the Catholic Church abuse narrative that the media has not told you. This book is fast-paced, informative, and impeccably researched. There is no other book like this one. July 2, 2017 Edited by Todays Martyrs Reviewer Edited without comment. July 2, 2017 Created by Todays Martyrs Reviewer Added new book.